One of the most popular of all house plants. Quick growing with attractive arching leaves. In spring and summer the cascading wiry stems produce small white flowers followed by tiny plantlets. This plant is extremely adaptable. It will grow in hot or cool rooms. 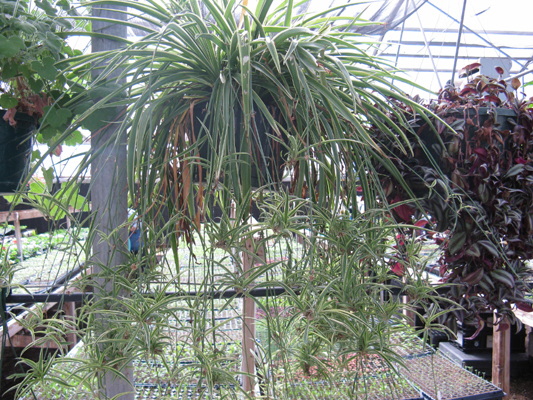 Spider Plant can be used on your patio in the summer but needs to be brought back indoors in the fall. Keep out of direct sunlight.